The 121,967-ha Orkhon Valley Cultural Landscape encompasses an extensive area of pastureland on both banks of the Orkhon River and includes numerous archaeological remains dating back to the 6th century. The site also includes Kharkhorum, the 13th- and 14th-century capital of Chingis (Genghis) Khan’s vast Empire. Collectively the remains in the site reflect the symbiotic links between nomadic, pastoral societies and their administrative and religious centres, and the importance of the Orkhon valley in the history of central Asia. The grassland is still grazed by Mongolian nomadic pastoralists. Le paysage culturel de la vallée de l’Orkhon, d’environ 121 967 ha, couvre une vaste zone de pâturages sur les deux rives de l’Orkhon et comprend de nombreux vestiges archéologiques remontant au VIe siècle. Le site englobe également Karakorum, capitale aux XIIIe et XIVe siècles du vaste empire de Chingis (Gengis) Khan. Les vestiges du site reflètent les liens symbiotiques entre les sociétés pastorales nomades et leurs centres administratifs et religieux, et l’importance de la vallée de l’Orkhon dans l’histoire de l’Asie centrale. Les herbages sont encore utilisés aujourd’hui par les bergers nomades de Mongolie. تغطي الطبيعة الثقافية لوادي اورخون الذي تبلغ مساحته 121967 هكتارًا، منطقة واسعة من المراعي على ضفتي الاورخون. ويتضمَّن آثارًا تاريخية عديدة تعود الى القرن السادس. ويشمل الموقع أيضًا كراكوروم عاصمة امبراطورية جنجس خان الواسعة التي تعود إلى القرنَيْن الثالث عشر والرابع عشر. فآثار الموقع تعكس الصلات التكاملية بين المجتمعات الرعوية البدوية وبين مراكزهم الادارية والدينية، كما تعكس أهمية وادي الاورخون في تاريخ آسيا الوسطى. ولا تزال المراعي تُستعمل حتى الآن من قبل الرعاة البدويين في منغوليا. Культурный ландшафт долины реки Орхон площадью около 122 тыс. га охватывает обширные пастбища на обоих берегах реки Орхон и включает многочисленные археологические находки, самые старые из которых датируются VI в. Здесь также обнаружены руины Каркорума – в XIII-XIV вв. это была столица обширной империи Чингисхана. В целом этот объект наследия отражает символические связи между кочевыми, пастушескими сообществами и их административными и религиозными центрами, а также показывает важность долины Орхона в истории Центральной Азии. Пастбища долины до сих пор используются монгольскими пастухами-кочевниками. Este paisaje cultural de 121.967 hectáreas lo componen las vastas praderas situadas a ambos lados del río Orkhon, donde hay numerosos vestigios arqueológicos que datan del siglo VI. El sitio comprende también la ciudad de Karakorum, que durante los siglos XIII y XIV fue la capital del vasto imperio mongol creado por Gengis Khan. Estos vestigios son un exponente de los vínculos simbióticos entre las sociedades de pastores nómadas y sus centros administrativos y religiosos, así como de la importancia que ha tenido el valle del Orkhon en la historia del Asia Central. Hoy en día, los pastores nómadas de Mongolia siguen apacentando a sus ganados en esas praderas. Het 121.967 hectare grote cultuurlandschap van de Orkhon vallei omvat een uitgestrekt gebied van weiden op beide oevers van de rivier de Orkhon. Het gebied omvat een groot aantal archeologische resten die dateren uit de 6e eeuw. Tot het landschap behoort ook Kharkhorum, de 13e en 14e-eeuwse hoofdstad van Chingis (Genghis) Khan’s uitgestrekte rijk. De overblijfselen van dit gebied weerspiegelen de symbiotische relaties tussen nomadische, pastorale samenlevingen en hun administratieve en religieuze centra. Ze tonen ook hoe belangrijk de Orkhon vallei in de geschiedenis van Centraal-Azië is. Het grasland wordt nog steeds begraasd door Mongoolse nomadische herders. The Orkhon Valley Cultural Landscape (OVCL) lies in the central part of Mongolia, some 360 km southwest of Ulaanbaatar. The site covers 121,967 ha of grassland along the historic Orkhon River, and includes a buffer zone of 61,044 ha. The archaeologically rich Orkhon River basin was home of successive nomadic cultures which evolved from prehistoric origins in harmony with the natural landscape of the steppes and resulted in economic, social and cultural polities unique to the region. Home for centuries to major political, trade, cultural and religious activities of successive nomadic empires, the Orkhon Valley served as a crossroads of civilizations, linking East and West across the vast Eurasian landmass. Over successive centuries, the Orkhon Valley was found very suitable for settlement by waves of nomadic people. The earliest evidence of human occupancy dates from the sites of Moiltyn Am (40,000- 15,000 years ago) and “Orkhon-7” which show that the Valley was first settled about 62,000-58,000 years ago. Subsequently the Valley was continuously occupied throughout the Prehistoric and Bronze ages and in proto-historic and early historic times was settled successively by the Huns, Turkic peoples, the Uighurs, the Kidans, and finally the Mongols. At the height of its cultural ascendancy, the inscribed property was the site of historic Kharakhorum – the grand capital of the vast Mongol Empire established by Chinggis Khaan in 1220. Within the cultural landscape are a number of archaeological remains and standing structures, including Turkish memorial sites of the 6th-7th centuries, the 8th9th centuries’ Uighur capital of Khar Balgas as well as the 13th-14th centuries’ ancient Mongol imperial capital of Kharakhorum. Erdene Zuu, the earliest surviving Mongol Buddhist monastery, the Tuvkhun Hermitage and the Shank Western monastery are testimony to the widespread and enduring religious traditions and cultural practices of the Northern School of Buddhism which, with their respect for all the forms of life, enshrine the enduring sustainable management practices of this unique cultural landscape of the Central Asian steppes. Criterion (ii): The Orkhon Valley clearly demonstrates how a strong and persistent nomadic culture, led to the development of extensive trade networks and the creation of large administrative, commercial, military and religious centers. The empires that these urban centers supported undoubtedly influenced societies across Asia and into Europe and in turn absorbed influence from both east and west in a true interchange of human values. Criterion (iii): Underpinning all the development within the Orkhon valley for the past two millennia has been a strong culture of nomadic pastoralism. This culture is still a revered and indeed central part of Mongolian society and is highly respected as a ‘noble’ way to live in harmony with the landscape. Criterion (iv): The Orkhon Valley is an outstanding example of a valley that illustrates several significant stages in human history. First and foremost it was the centre of the Mongolian Empire; secondly it reflects a particular Mongolian variation of Turkish power; thirdly, the Erdene Zuu monastery and the Tuvkhun hermitage monastery were the setting for the development of a Mongolian form of Buddhism; and fourthly, Khar Balgas, reflects the Uighur urban culture in the capital of the Uighur Empire. The inscribed property straddles the Orkhon River, which provides water and shelter, key requisites for its role as a staging post on the ancient trade routes across the steppes and for its development as the centre of the vast Central Asian empires. Specifically, the inscribed property provides evidence of the 6th-7th century Turkish memorial sites, the 8th-9th century Uighur capita of Khar Balgas, the 13th-14th century Mongol capital of Kharkhorum, the earliest surviving Mongol Buddhist monastery at Erdene Zuu, the Hermitage Monastery of Tuvkhum, the Shankh Western Monastery, the palace at Doit Hill, the ancient towns of Talyn Dorvoljin, Har Bondgor, and Bayangol Am, deer stones and ancient graves, the sacred mountains of Hangai Ovoo and Undor Sant and archaeological and ethnographic evidence attesting to the long and enduring tradition of nomadic pastoralism. All elements necessary to express the Outstanding Universal Value of the property of Orkhon Valley Cultural Landscape are included within the boundaries of the inscribed area. The ecology of overall landscape and pastoral practices are vulnerable to lowering water table, associated with tree-cutting and mining, pollution of watercourses and the effects of over-grazing. The visual integrity of the landscape is vulnerable to modern roads, tracks and power lines. Lack of maintenance of monastery buildings, city walls and Turkic graves could impact on integrity. Overall, the Orkhon Valley retains a high level of authenticity as a continuing cultural landscape, reflecting the long-standing traditions of Central Asian nomadic pastoralism. The basic use of the land has remained consistent over the centuries and has not adversely affected the component archaeological features of the landscape, the authenticity of which remains high individually and collectively. Although some modern features have obtruded into the landscape, the way in which the landscape is used is still essentially traditionally nomadic, with herdsmen moving their flocks across it in season transhumance. The pastoral management regime of the grasslands and the continuing intangible and tangible traditions associated with the nomadic way of life are integral to the property’s continued authenticity. The central and local authorities recognize how vital it is to sustain pastoralism as means of managing this cultural landscape. According to the Constitution of Mongolia adopted in 1992, each citizen has the right to live in a healthy and safe environment; additionally, lands and natural resources can be subjected to national ownership and state protection. Parliament Resolution No.43 under the Law on Special Protected Areas (1994) declared an area of the Khangai Mountains, including the upper part of OVCL, a State Special Protection Area, establishing Khangai Mountain Park in 1996. The northern part of the OVCL has been given “limited protected status” under the Law on Special Protected Area Buffer Zones passed in 1997. The five primary sites in the Orkhon Valley have been designated as Special Protected Areas and 20 historical and archaeological sites as Protected Monuments. The buffer zone of the OVCL was approved by the Government Resolution No. 123 issued on 31 May 2006. Also the longitude and latitude coordinates of 63 points of the OVCL were approved by this resolution. In 2009, the decree of the Ministry of Education, Culture and Science of Mongolia was adopted for strengthening the legal environment for the conservation of the OVCL. By Government Resolution No. 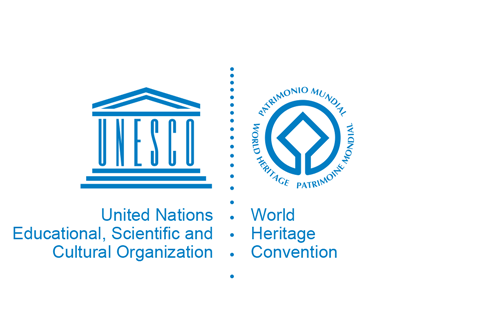 147 issued on 9 June 2010, the management office of the OVCL World Heritage Property, which was initially established by the Decree of Ministry of Education, Culture and Science of Mongolia in 2006, was re-established at the national government level. A management plan for the property was developed in 2002 and renewed in 2006 with widespread involvement of stakeholders. The purpose of this plan is to ensure the safeguarding of the heritage within a framework for the sustainable development of the OVCL by putting in place a system for ensuring there will be lasting harmony between the ecology of the grasslands and the practices of nomadic pastoralism. According to the Mongolian National Development Policy which was adopted by the Mongolian Parliament in 2008, a further revision to the management plan for the property has been adopted which oversees development in the area up to the year 2030 and ensures its protection under a new “Law on protecting the cultural heritage of Mongolia”. A detailed map, indicating the territorial boundaries, sites location, buffer zone, livestock density and grassland cover, of the inscribed property has been officially gazetted. Site museums have been provided for under the revised management plan, as has the reconstruction of Tsogchin Temple.